Does success leave clues? Can we guarantee success? I have no idea how SEO works. I simply published a few posts, and people started streaming in. Why? Well, apparently, I’m the best content creator in history. I knew this was nonsense. It reminded me of attractive people who refuse to accept that their good looks make social interactions easier. Since they need to explain why they are getting treated so much better, they convince themselves that they have a special character and are much more likable than everybody else. What they’re missing, of course, is the elephant in the room: When you’re good-looking, people are nicer to you. Many successful bloggers are also missing the elephant in the room: A blog becomes successful by ranking high in Google. Google’s search algorithm is a complex, top secret, and ever changing system. While there are some things you can do to destroy your ranking, the number one reason for ranking high in a system that nobody understands is luck. Of course, good, helpful content is essential to making your readers come back and share your articles, and every successful blogger writes good content, but if nobody can find your great content, you won’t be successful. Good content doesn’t magically guarantee success. Of the thousands of websites that are perfectly optimized, Google ranks only ten on page 1. So why does Google choose perfect site A over perfect site B? Nobody knows. While the owner of site A will think of a million good reasons why his site was sure to rank high, all of them are illusions. To make sense of the world, our brain is looking for patterns that it understands and can interpret, even if there is only randomness. Mistaking these patterns for clues to success can lead to dangerous misconceptions. Self-help often follows a similar approach, claiming to have analyzed a long list of successful people and to have found the common reason for their success. When we compare successful people in any genre, we’ll find some sort of consensus. All successful bloggers will tell us that content is king, all successful actors will tell us that we should quit our jobs and go all-in on our acting career, all successful rock stars will tell us to keep touring until we get our big break. That’s a misconception. The fact that everybody who succeeded did the same thing doesn’t mean that everybody who did the same thing succeeded. There are millions of bloggers who create great, helpful content for blogs that nobody reads. There are thousands of talented actors who never get a role, and thousands of good bands that play in empty bars. These failures can teach us as much about success as the success stories. When we try to find out how to succeed at something, we must also study the failures, especially those failures who were every bit as good as the successes. Most of the time, what separated the failures from the successes is luck. Imagine we start a coin flip tournament with 1,000 people. After one flip, 500 people will have correctly predicted whether their coin will show heads or tails. We let these 500 flip again. After the next flip, there’ll be 250 players left, than 125, than 63, and so on. After about ten flips, there will be one player left. If our tournament paid a lot of price money, the lucky winner would become rich. Now everybody would want to know the secret to his success and he’d write a book. He’d talk about how to flip the coin the right way, what to think about when flipping the coin, and lots of other superstitious nonsense. Just because one person thinks that these things helped them succeed doesn’t mean they will help us or anybody else copy their success. When we analyze a person’s success, we should take our clues from a non-emotional, scientific evaluation, not from what a successful person thinks caused their success – 99 percent of them have no clue. In his book Outliers, Malcolm Gladwell followed exactly this approach. He analyzed successful people on all aspects of life and tried to find out what separated them from the many unsuccessful people. His result? All of them, from The Beatles and Bill Gates to Robert Oppenheimer and Steve Jobs, essentially were very, very lucky. They were born at just the right time into just the right circumstances. A few years later or earlier, a different town, or one lucky meeting less, and they would have failed. While they made good use of this perfect situation, they didn’t even understand it existed until they were half way through their journey. In every success story, luck plays a huge role – and that’s the most fundamental fact we know about great success. Should we even try to be successful? If success is mostly the result of luck, should we all stop trying to be successful? No. Success does leave clues. But those clues aren’t what successful people say caused their success. Those clues are chaotic, unpredictable accumulations of circumstances. To be as wildly successful as Steve Jobs, The Beatles, or Bill Gates, we have to encounter a similar string of lucky events – but we can’t force good circumstances by doing what previous success stories did. We can’t even tell whether we are in a good situation or not – of all the people who believed that they found exactly what the world needs, only few succeeded. Compare how people tried to be successful at something and try to find patterns. Most of the time, you’ll find that part of these people failed because they made bad decisions. Avoid making the same bad decisions. Find out what the successes did, and do the same thing. Be realistic about your chances of success: A major part of the failures did exactly what the successes did. Their failure can be attributed to bad luck and unpredictable circumstances. By copying the same approach, you will probably fail, too. Try new ideas as low-cost as possible before you invest big. Rather try many low-cost ideas than one high-cost idea. This increases your odds of creating one idea at the right time and the right place. Never put all your eggs in one basket. Always have a plan B. The whole talk of “A plan B only distracts from plan A” is nonsense spread by people who had very, very good luck. If our success largely depends on chance, even the most successful people aren’t inherently better or more deserving than others. Other people did an equally great job, they just had worse luck. Should you or I ever be lucky enough to experience great success, it is our moral duty to share the rewards with those who were less lucky. When we use doing what has intrinsic value to us as a compass to guide us through our lives, every new experience – professional as well as private – will add to the experiences we made before. It will be in a similar field regarding similar values. Over time, these related experiences will accumulate to a wealth of knowledge surrounding the topics and values we care about, helping us to make better decisions and achieve greater levels of success. Without passion as our compass, our experiences will be in fields too different to combine them. When we sell insurance in our day job and are passionate about space flight when we come home, there are very few intersections. As passion doesn’t aid our professional career, we put in too little time and effort to achieve high levels of mastery, and success will always elude us. We can’t force success. While we stumble from one unpredictable, chaotic experience to the next, we might as well be happy. Doing what has intrinsic value to us will help us do exactly that, thereby making us more successful than any amount of money ever could. This approach to trying new things requires us to let go of our perfectionism. When we try something new, we are insecure about how things will turn out. Even though we try to convince ourselves and others that we have found the right idea for this time and place, we know that we’re only guessing, at best. To deal with the insecurity, the fear of failure, and the potential shame we could feel, many of us invest too much money in an unproven idea, succumb to perfectionism, or fall for a similar false replacement. While these false replacements, disguised as efforts to be more successful or generate a better product, are socially well-accepted, they are an attempt to deal with our insecurities. We think that we can force our way to success by pouring large amounts of time, money, and effort into the endeavor. In reality, though, these attempts rarely generate any positive results. Of course, we have to reach a certain standard of quality to be successful at anything, but investing a lot of money to get a professional logo design won’t help our blogs to be ranked high on Google. Similarly, perfectionism and over-investing often miss the areas most critical to our success, focusing on minor issues that barely impact the outcome but give us the opportunity to waste endless hours of work and streams of money. Regardless of how much we try to find the perfect relationship, long-lasting happiness always requires a great deal of luck. There’s nothing we can do to avoid sickness, to anticipate all events that could make us and our partners grow apart, or to make sure that our partners have no dark secrets they hide from us. If we try to prevent these events, we destroy the relationship or waste our time doubting everything. Whether we die in transport or not is largely due to chance and events we can neither predict nor influence. Avoiding airplanes, the subway, or ships are false replacements for a lack of certainty. Regardless of how perfectly we plan a wedding, Christmas, or any other event – whether these events go well or not is largely due to chance. We can’t influence whether our guests show up in a good or bad mood, whether they get along, and whether someone drinks too much. Trying to prevent these events will kill the mood more than if these events occur. We can’t guarantee that our children will grow up to be who we want them to be. Trying to force them into a certain direction will hurt them more than letting them find their own way. The major factor to great success is luck – we have to be in a good situation, meet the right people, and have a million other things go right for us. There are many ways to stop ourselves from being successful, but not a single way to force success. We have to accept the fact that we’ll most likely fail in most of our endeavors and must plan accordingly. When we do what has intrinsic value to us, we are already successful – we accumulate knowledge and we are happy. Over time, we gradually become better and as successful as our situation allows. A detailed analysis of the outstanding circumstances that created great successes, the effort it took to take advantage of these circumstances, but also of how many people failed in spite of similar or even bigger effort. Reading this book can help us get a more realistic outlook on life and find a better place for ourselves in this world. 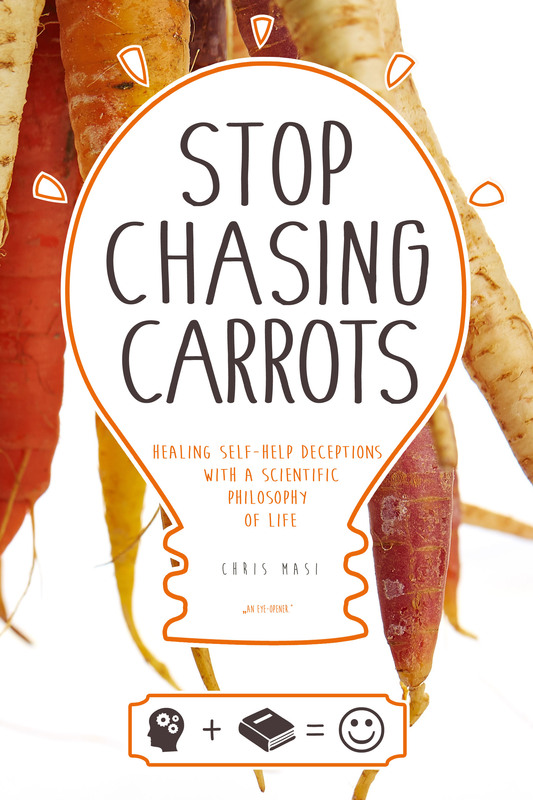 This article is a sample chapter from my book Stop Chasing Carrots. 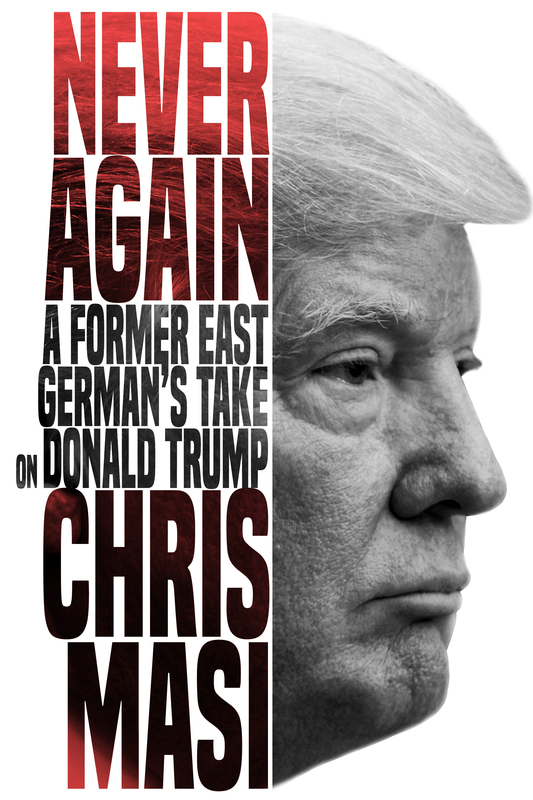 If you liked the article, get the book on Amazon now! Previous Post Forget inequality. Poverty is the enemy. 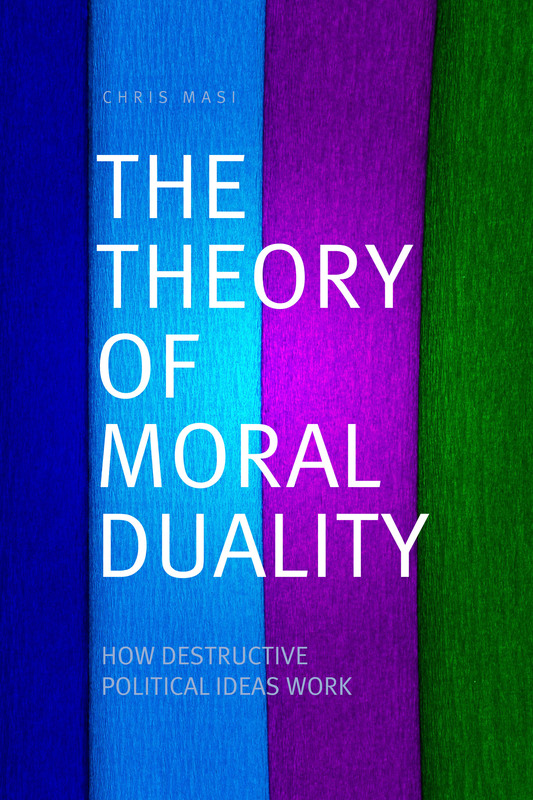 Next Post Contribution makes us happy – but it’s not a moral duty.